For me my brows are probably the most important feature of my face, mainly because without them I just don’t look put together. Whilst i’ve been In Australia i’ve been getting so much wear out of a recent release from Rimmel, that I’ve briefly spoken about already but I wanted to give a more in depth review for you guys, especially as these are a new release from one of my favourite brands. Over the last year or so I’ve definitely gotten into trying out more brow products, and I can even remeber back when I didn’t actually do anything to my brows (what I was thinking i’ll never know) and it’s amazing to see so many brands releasing new brow products thay we’ve never seen before. This latest release from Rimmel definitely had me guessing, with their anticipated launch and once the new Brow Shake Filling Powders were released it had many bloggers intrigued as to how these worked. I briefly touched on how much i’ve been loving these in my February Favourites, but I wanted to go more into depth as their the first of their kind, or so i’ve seen anyway and I thought they deserved their own little bit of limelight. The Rimmel Brow Shake Filling Powders* (£5.99) is essentially a powder based product that you apply similarly to a liquid eyeliner, using a soft and tapered nib in order create a defined and sleek brow look. These brow powders come in four different shades, to suit pretty much any eyebrow colour out there but I personally prefer to use their ‘medium brown’ shade as it suits my brows the best. What I personally love about these products is the design of the packaging/applilcator as I find it to be the easiest brow product that i’ve tried in a long time, as many brow products these days require some sort of brush or separate applicator whereas this doesn’t, and is amazing for on the go touch ups too! Typically I only need to apply this once in the morning and it doesn’t tend to budge at all theoughout the day, but I do find that setting the product in place with a clear brow gel to help the product last even longer. When first trying out this product I will admit it took a few attempts to get the correct amount of pressure and product on the nib applicator, but I find that if you tap off some of the excess and start more towards the middle of your brow and then blend the product down the arch, towards the end of your brow, and then going back the start of your brows to be the best way to work with this product. Just remeber a little goes a long way with this product! 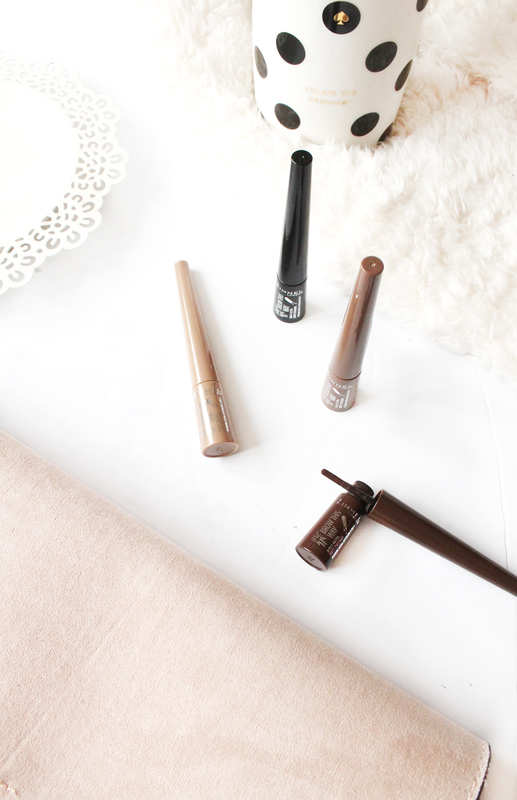 Overall I absolutely love this product and has fully replaced my much loved Benefit brow pencil, which is fab as it’s so much more afffordable and works just as well, if not better in my opinion. If you’re wanting to try out a new brow product without breaking the bank, then i’d highly recommend checking this product out! Have you tried any new products from Rimmel recently?